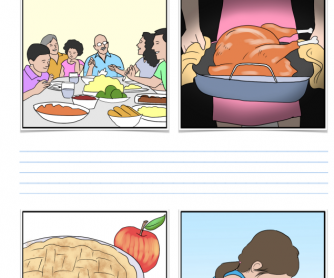 A beautifully illustrated set of flashcards for Thanksgiving. Powerful tools for creative writing, storytelling, brainstorming, conversation starters, vocabulary building and pretty much anything! These were hand illustrated for students to speak, write, listen and improve their overall English.